The first morning in Greece the sun was so astoundingly bright I panicked. Why had I not brought better sunglasses? How would I get around if I couldn’t see for the dazzle? It took me a while to realize that the effect was caused by the glassy stillness of the Messenian Gulf. 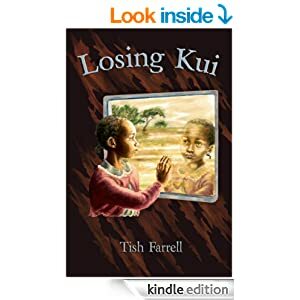 It did not last. Nor did that morning’s terrific heat. 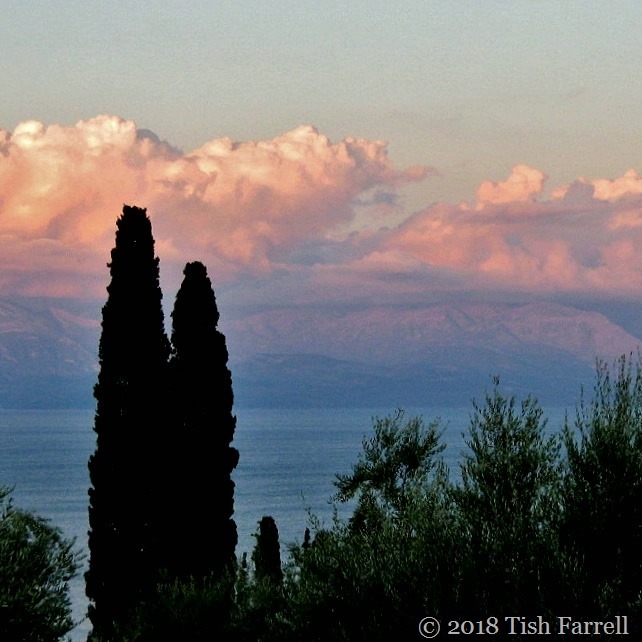 We Farrells have a habit of taking our holidays just as summer is ending, and our trip to the southern Peloponnese was no exception. On that morning, the last of high summer departed. By noon a storm had rolled in, cascades of rain pouring down our cottage pantiles. When the rain cleared three hours later, it was a different climate. The sky was grey. I could see where I was going, and I was no longer melting. Of course we had some sunshine in that last week of September, and the temperature was perfect for exploring Koroni and Pylos. But the season was pretty much over; the beach empty of locals who thought it too cold to be there; fish soup off the menu at the taverna due to lack of mass demand. But if the season was done, there was still much magic – the softer shades of Taygetos Mountain pink at sunrise and sunset. And each day, looking over the Gulf at the wild fortress lands of the Mani, I thought I probably was in heaven. 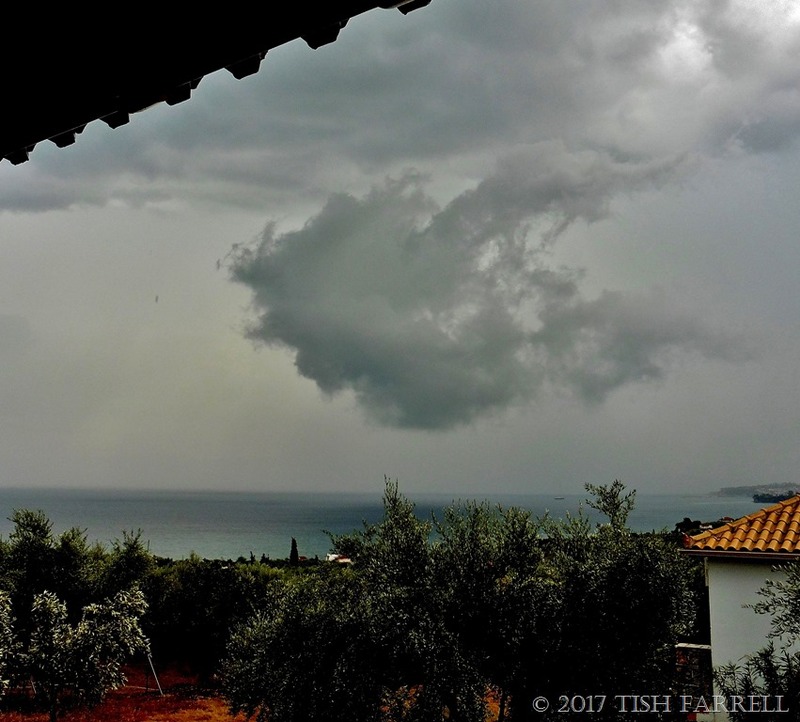 We’d tried to overlook the fact that rain and storm had been forecast during our seven-day trip to the Peloponnese. But here it came, quite dissolving the Mani peninsula, stilling the waters of the Gulf, giving them an ominously bruised look. 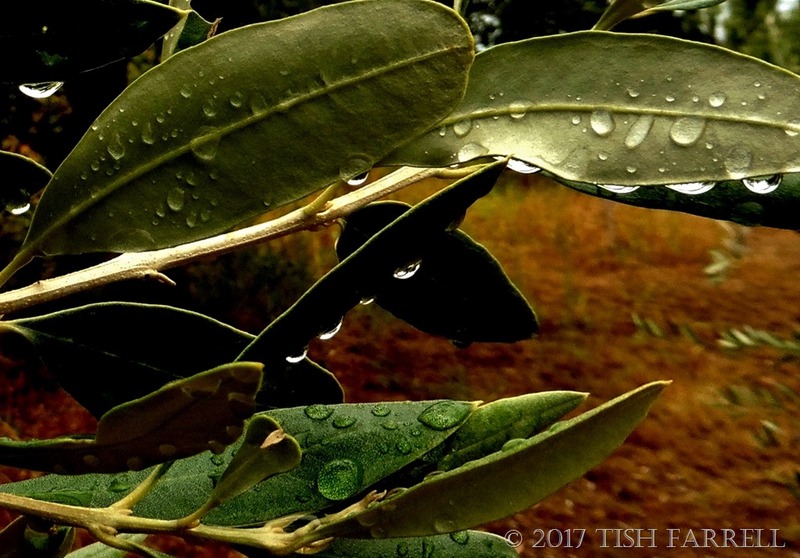 But then the drama of light and mood more than made up for the downpour, and once we had learned that the rain was responsible for boosting the oil content of the olives, and that the locals were pinning their hopes on a good harvest come November, it seemed churlish to feel resentful. Besides, Kalamata olive oil is some of the best there is. More power to its production and all who grow it is all I can say. P.S. I was sure I had posted this on Monday for Ailsa’s Travel Theme: Storm thus preceding Peroulia Dreaming #9 with the brolly. 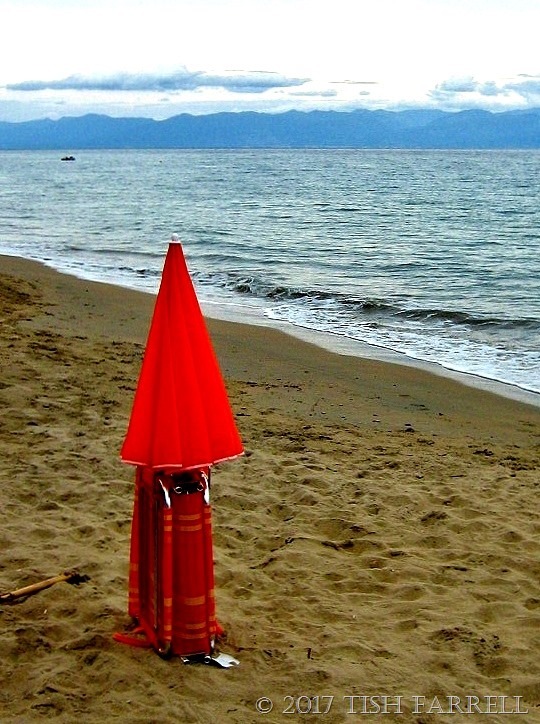 Autumn comes to Peroulia Beach, and the locals abandon their brollies and sun loungers on the shore. Far too cold, they say. I kept returning to photograph these grasses at the Iconpainter’s Villas. 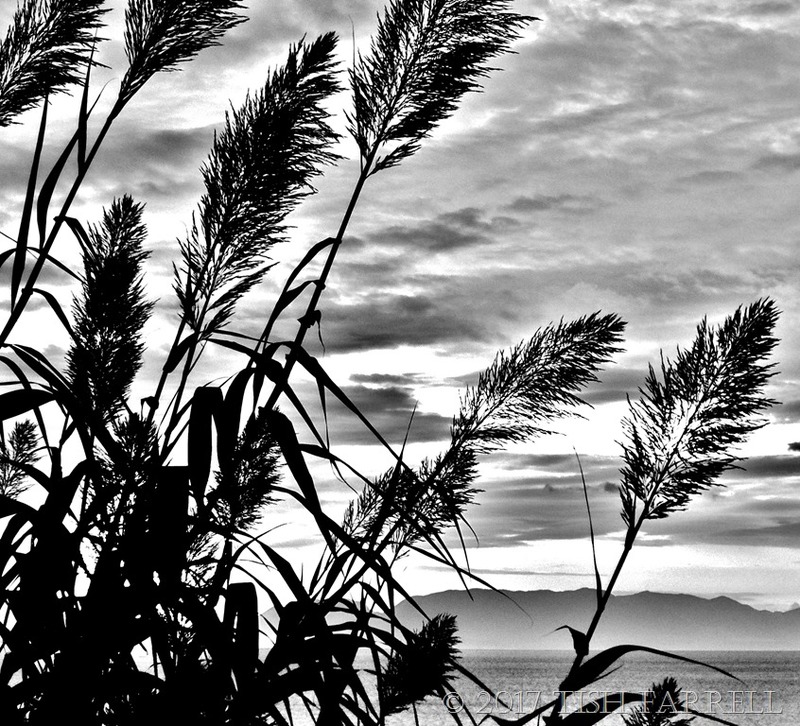 Every time I was struck by the plumed silhouettes against sea and mountains and sky. Yet it was several days before it occurred to me snap them in monochrome. I’m glad I did. I had Paula in mind when I took this photo too, so a big thanks to her for this week’s challenge ‘shape’ and thus the chance to post it.